Our Plus Size Handset Shipper is designed to accept all sizes of modern Mobile Phone handsets, including Apple iPhone Plus and Samsung Plus handsets as well as other similar size handsets from other manufactures such as Sony, LG, Motorola, OnePlus etc. The additional space inside each cell ensures that Mobile handsets are not accidentally activated in transit. Manufactured from Narrow-wall double flute, super rigid grade corrugated board. 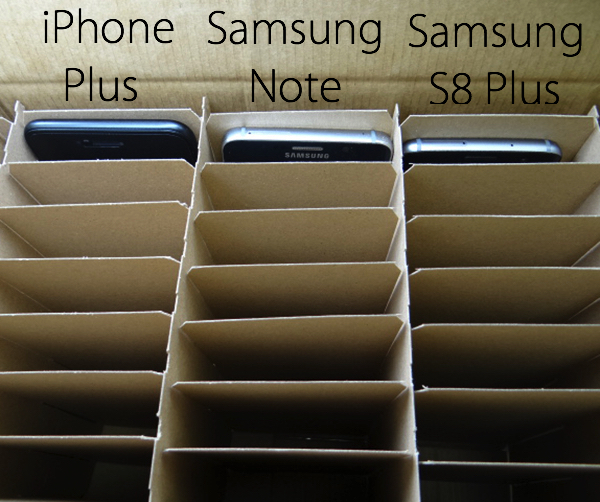 The inner flaps of our mobile phone shipper cartons have punched handholes for ease of handling while the carton is being filled with mobile phone handsets. The inner division insert and the outer carton are constructed from 80% recycled cardboard. The white outer panels are printed with generic shipping marks, recycle logo and handle with care notice. 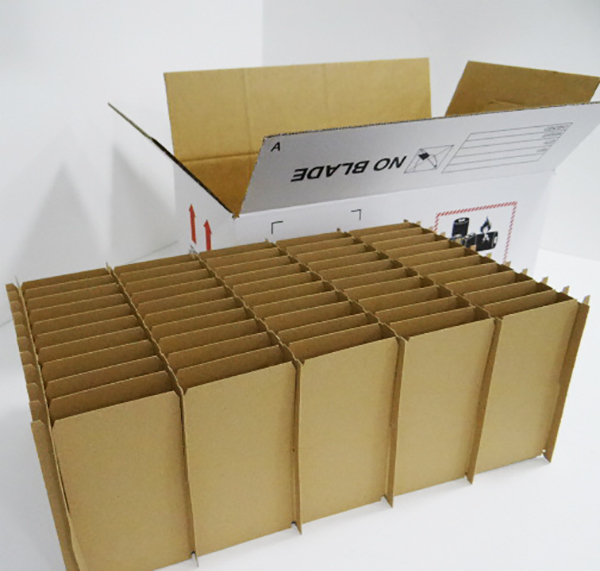 The larger cell size is suitable for 1 or 2 cell phones packed back to back, effectively making this carton into a 100 cell shipper for cost effective high volume mobile handset shipping. Can be used with a bubble bag within each cell for additional protection.